The Planet Dog Orbee-Tuff Zoom Flyer Frizbee is great fun for your dog. 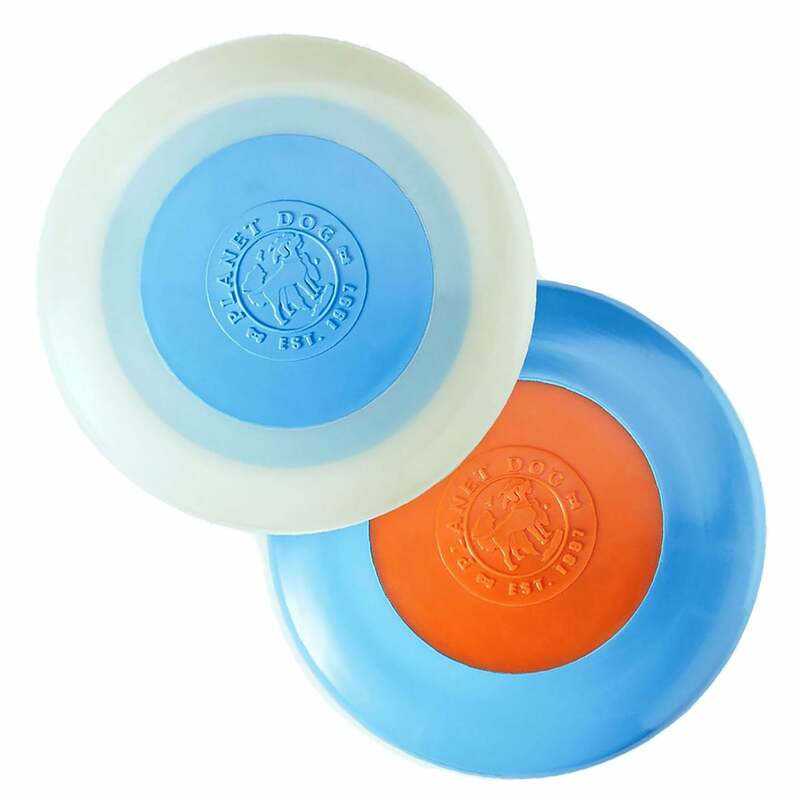 This super soaring disc has dual density technology which allows distance with each throw and unbelievable softness with each catch. Buoyant ensuring it isn't lost in water. The glow version is perfect for play and walks on darker evenings. Please note whilst this toy is highly durable it is intended for throwing and not chewing!